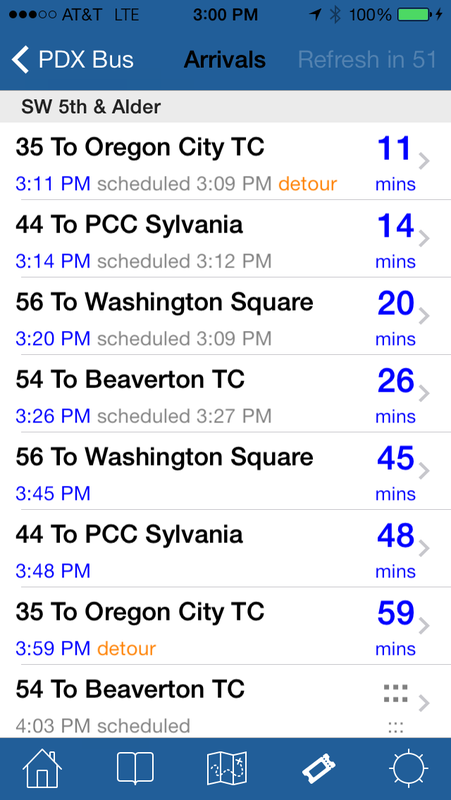 PDX Bus - a free Open Source iPhone app for Portland bus and train times: Version 6.4 will be available today! This version is all about iOS6! Support for the new streetcar loop DOES NOT WORK. The problem is all the developers were given incorrect information about how the data would work, and it is too late for me to fix in this release! 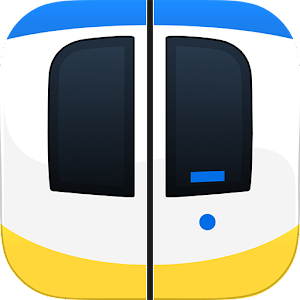 I will update this next week, I already have the code updated but it takes time to test. 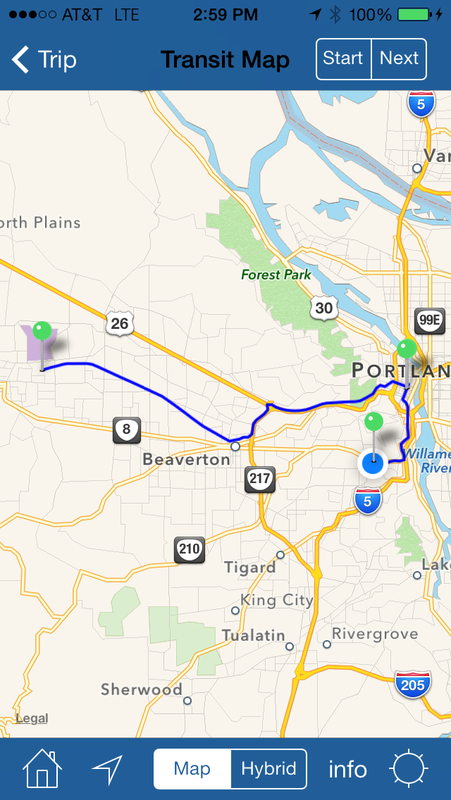 Initial support for new iOS6 map routing - if you ask for a transit route in the map and the route starts and ends within the TriMet area, the new map app will load up PDX Bus and use the routing in PDX Bus. Initial support for iOS6. Full screen iPhone 5! Unfortunately this will not support the original iPhone running iOS3 or anything earlier than iOS 4.3. If many people ask I could make a new app just for that - but very few people are still using those devices. There is a known bug: in iOS6 PDX Bus will crash if the location services screen fails to find a stop. I found this too late - it is also in the previous version so this is no worse. :-( I have the fix, it will also be fixed next week. Thanks for the updates, and the warnings! I do still use an original iPhone on iOS 3 (on T-Mobile as a 'backup' phone, I also have a 4S on AT&T; although my wife uses an iPhone 3G on iOS 4, so please don't abandon iOS 4.2 yet, please!) I *REALLY* appreciate your willingness to spin off an iOS 3-compatible version as a separate app to support the older-hardware users, too few devs do this! But, I have learned (the hard way) to make backups of the app packages on my computer, and keep a separate iTunes library that I never update apps in, only update on the phone (to ensure it never downloads one too new,) and sync those back. That said, I wonder what has happened to the original iPhones? They're still perfectly good smartphones, even if they can't run the later OSes! I miss PDX Bus! I wish you'd develop a version for Windows Phone. Does Windows not allow it or is it too much of a pain to develop? It's too much of a pain - I have no time - one app is enough for anyone. The old iPhones are being factory refurbrished and resold. Consumer Cellular in Tigard sells them for use with their service. It's what I am using right now. Which is one reason it would be nice to have older versions available. Glenn - Consumer Cellular is refurbishing the 3GS according to their web site - I don't think anyone would bother with the original iPhone. It's not just me dropping support - no app that fully supports iOS6 will run on the original iPhone as it has an older ARM processor in it. Yes, it's a 3GS. Version is 5.1.1 Will PDXBus run on it?